While many people may dislike dental work, for a hyperacusis patient, the challenges of facing a dental drill can be quite overwhelming. The good news is laser drilling can offer a very quiet option if the work required is for a tooth with no prior fillings. However there are currently no options for laser drilling on teeth with fillings. A majority of dentist still use air power dental drills which have measured up to 95dB in recent noise level tests. A better option is an electric dental drill which typically has a much lower noise level rating. One of the best options on the market currently is the KaVo COMFORTdrive 200 XDR which is rated at 57dB. Hyperacusis Research tested one of these dental appliances in a dentist office with a consumer level sound decibel meter and it peaked well above 80dB. Since our sound measurements were significantly higher than the advertised rating, it would be wise to perform your own sound test prior to being exposed to any dental drill. Image credit: SuperFantastic on Flickr. Used with Creative Commons license. Image edited. Because hyperacissis I was not able to tolerate any dental work even with high amounts of freezing. 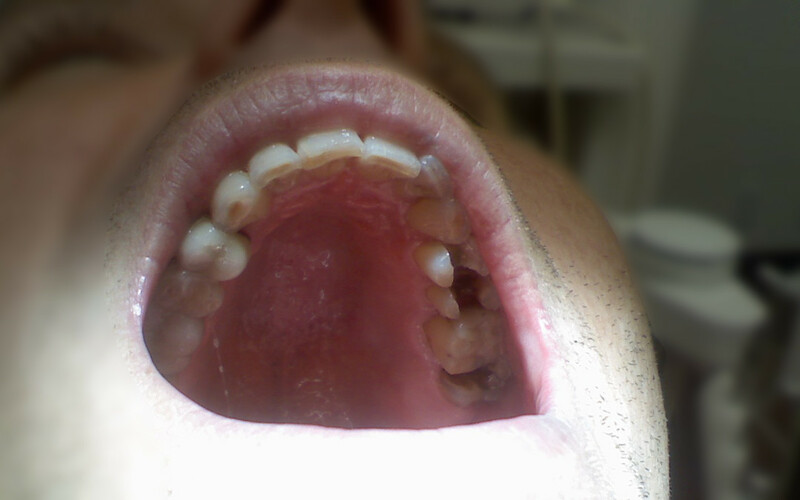 I ended up losing all my teeth and can not wear dentures.